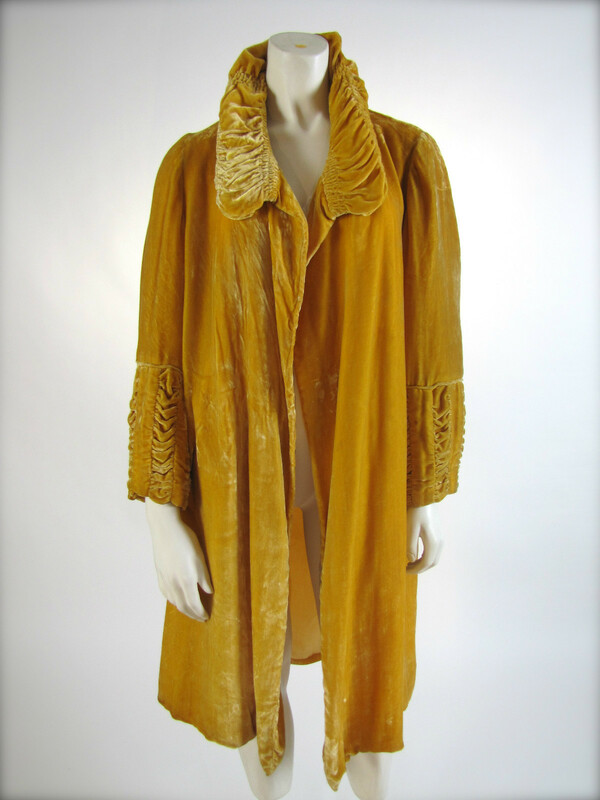 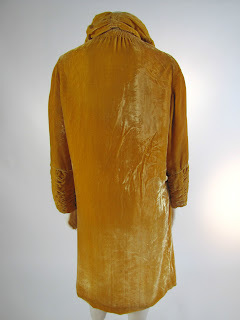 An art deco gold silk velvet opera coat with shirred collar and sleeves very similar to one we sold that had shirring with rows of hand applied dazzling rhinestones (sold for $1600 at our Salon). 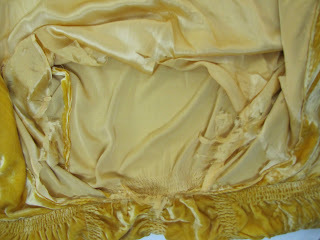 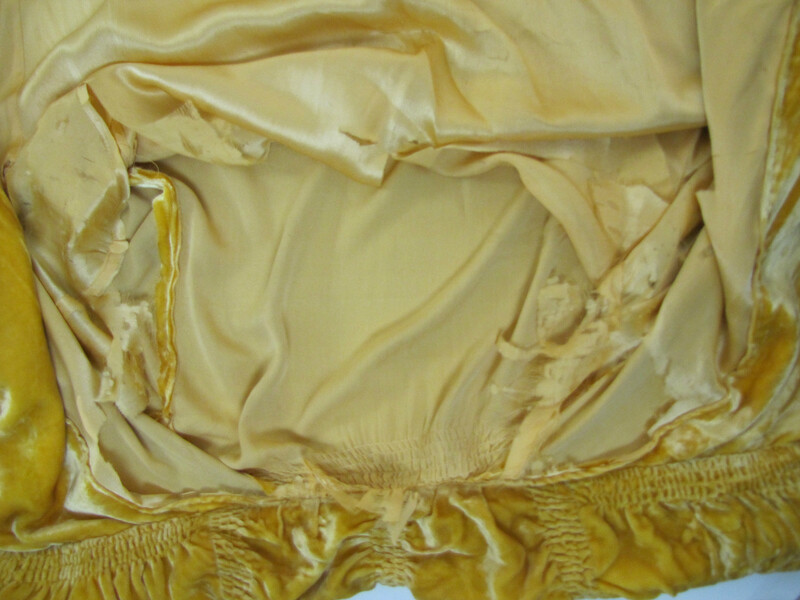 Yellow silk lining has disintegrated unfortunately, but can be replaced by a skilled seamstress. 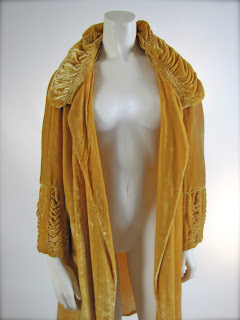 Fits and drapes majestically. No closures. 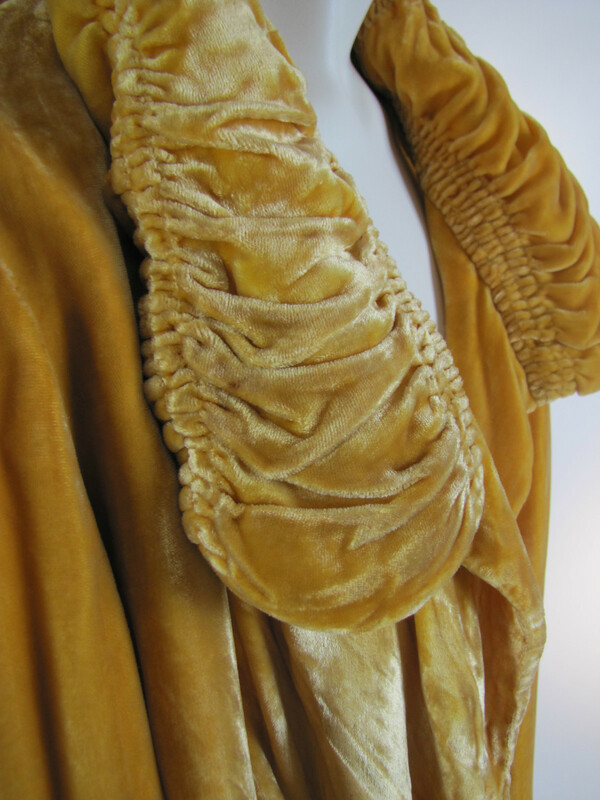 A well made vintage piece that will have an excellent investment outlook once the lining is restored. 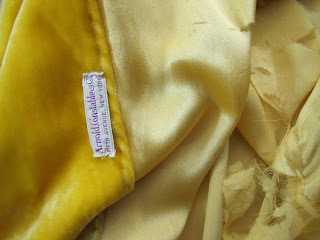 Exterior is exellent with only a small 1/2 inch spot on the left sleeve that is non-significant. Coat is very clean and has no odors. WIll fit up to size 4 comfortably. 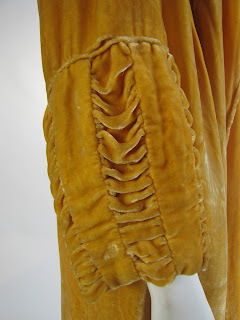 Petite.